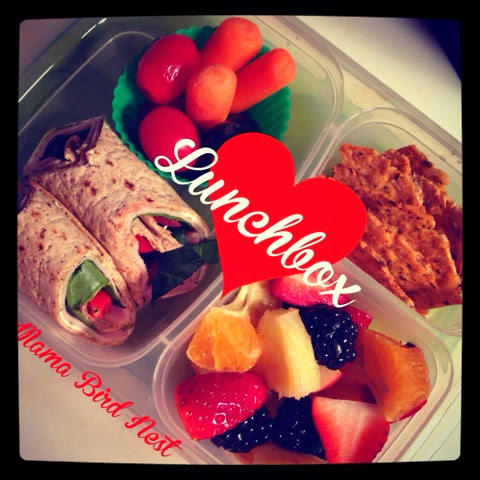 Lunchbox love is something I am super passionate about. Back when Jack was in preschool I prided myself on packing a lunch that made the teachers swoon! I think that the key to it all is do what works for you!!! I mean if you dig making all the cutsie fun looking food then do it, if that isn’t your thing thing don’t stress about it. You know what your kid likes, go with that! I try to mix it up and add a few fun things here and there just to keep things interesting! .GET PREPARED – Get online or head to ikea or the container store or walmart and get the containers you need, utensils, cooling packs etc… I adore the reusable utensils from Ikea, they are cheep so no stress if they get tossed, and the wash wonderfully! The Sistema lunch cube is another favorite, although it is very cumbersome and doesn’t fit in a lot of lunchboxes. I am really excited about the Easy Lunchbox containers, they have rave reviews and I need to order a set! And my all time favorite thing that I use all the time…. Silicone cupcake liners they are perfect for making jello, holding fruit, crackers you name it! It is totally amazing how by using a fifty cent cookie cutter you can transform a kids lunch. No kidding!! Try it and before you say, that takes too much time! I challenge you to spend 20 mins a week to prepare. Or do lunch as your cleaning up from dinner. Use leftovers! Transform them! I will be sharing ideas all school year long and will start with linking to so great articles throughout the net! This LIST on HOW TO PACK LUNCH is GREAT!!! Good Luck sending your peeps back to school!! 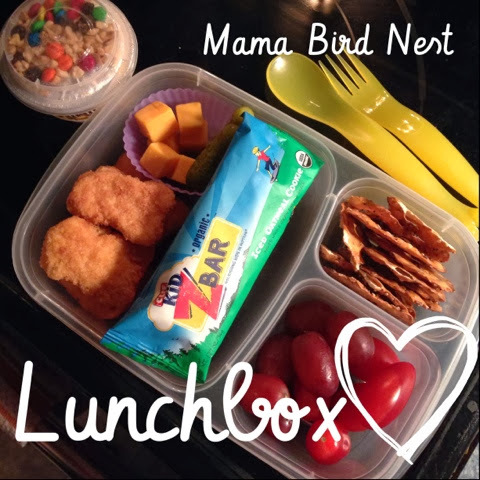 This entry was posted in Uncategorized and tagged back, back to school, lunch, lunch box ideas for kids, lunchbox love, Mama Bird Nest, Mama Bird's Nest, packing lunch. variations~ a few of my favs! 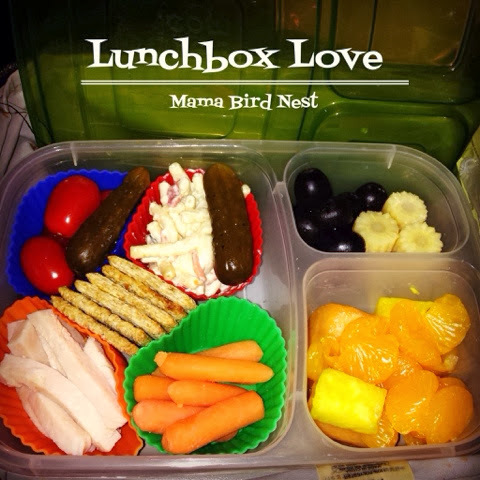 This entry was posted in veggie and tagged cream cheese spreads, fruit, lunch, lunch box ideas for kids, lunchbox love, Mama Bird's Nest. 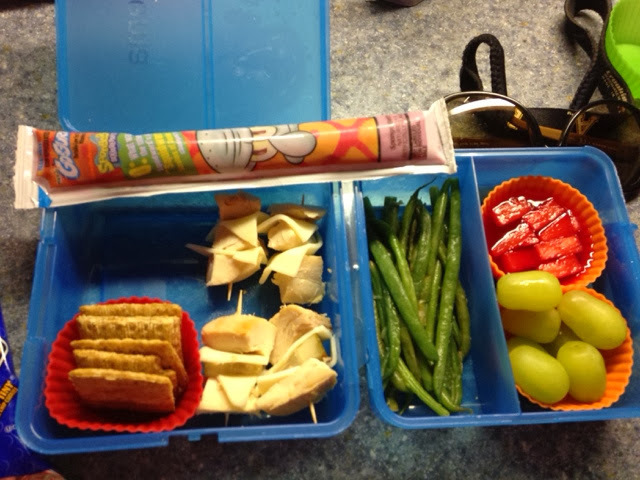 I was inspired my some of the recent post/articles I have seen on lunchbox love and wanted to include some of the great ideas that I have come across. As well as a few ideas that I have. Mom’s Tool Box has an awesome list. I have shared her kabob idea with my sis, who’s little girl, also 3, doesn’t eat very well. I pack j’s lunch 3 to 4 days a week and feel I get in a rut (who wouldn’t?) 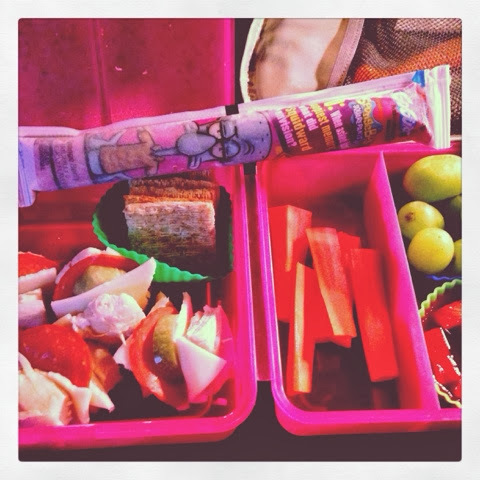 With school just starting back I have made The Lunchbox my newest obsession!! I love the Kabobs: Meat & cheese with pickles, olives and veggies would be great . Sammies: I like to use a cookie cutter just to add something fun to the lunch box. Egg Salad, jelly (he hates peanut butter) chicken salad, cream cheese spreads (up next), nutella & banana, the possibilities are endless. Sides: I always put in fresh fruit, a yogurt stick, a veg and something salty. Here are a few ideas, some not so new, some a little more creative. I use cupcake/muffin liners to put dips, dressing or anything I want to be separate. 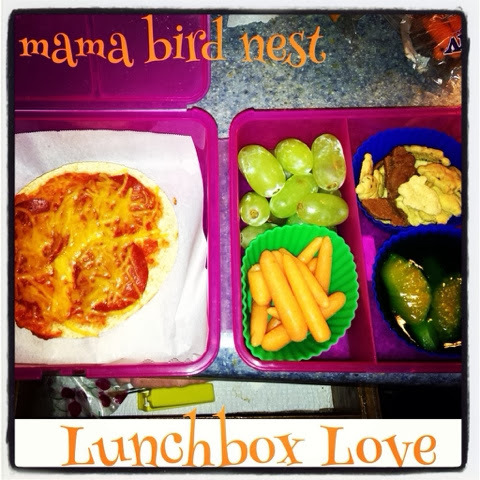 Hummus with carrot sticks & pretzel flats, crackers with meat & cheese (homemade lunchable!) It is totally amazing how by using a fifty cent cookie cutter you can transform a kids lunch. No kidding!! Try it and before you say, that takes too much time! I challenge you to spend 20 mins a week to prepare. Or do lunch as your cleaning up from dinner. Use leftovers! Transform them! 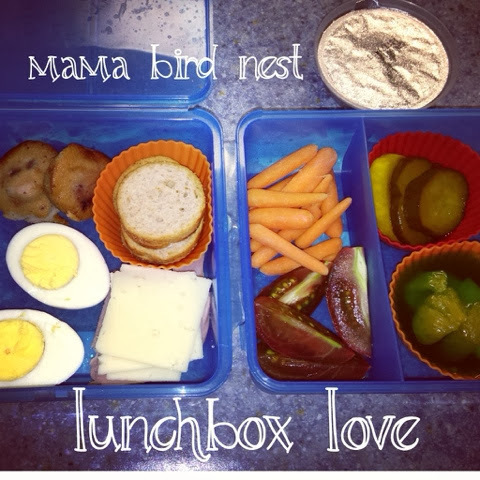 This entry was posted in Uncategorized and tagged cream cheese spreads, lunch, lunch box ideas for kids, lunchbox love, Mama Bird's Nest, packing lunch.